Called in the Middle Ages by Hisn Day, Dai is now considered as one of the most important cities of central Morocco , it is also a historic city, rich in monuments of the Ismaili period (seventeenth century) and Almoravids. 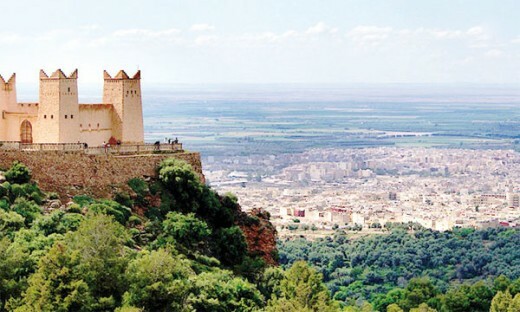 Beni Mellal is a city located in the heart of Morocco, between the plain of Tadla and the Middle Atlas on the road of the imperial cities of Fez and Marrakech . It enjoys a continental climate with a population of 500,000 inhabitants. It enjoys a pleasant landscape at the foot of the Tassemit mont-blanc, crossed by a small river Dai Dai which took this name to the past. Nature lovers will appreciate the views of the surrounding mountains, the magnificent cedar and oak forests. Adventurers or hikers can trek through the mountains such as the Middle Atlas. Béni Mellal is the departure to discover the mountain, the forest and the wild life in its pure state. It offers mountain lovers and adventure tourists the most beautiful reliefs of the High and Middle Atlas in the Kingdom. It also has many caves and chasms that are the delight of speleologists and archeology .